Each new day: Put it in writing: Can you do that? 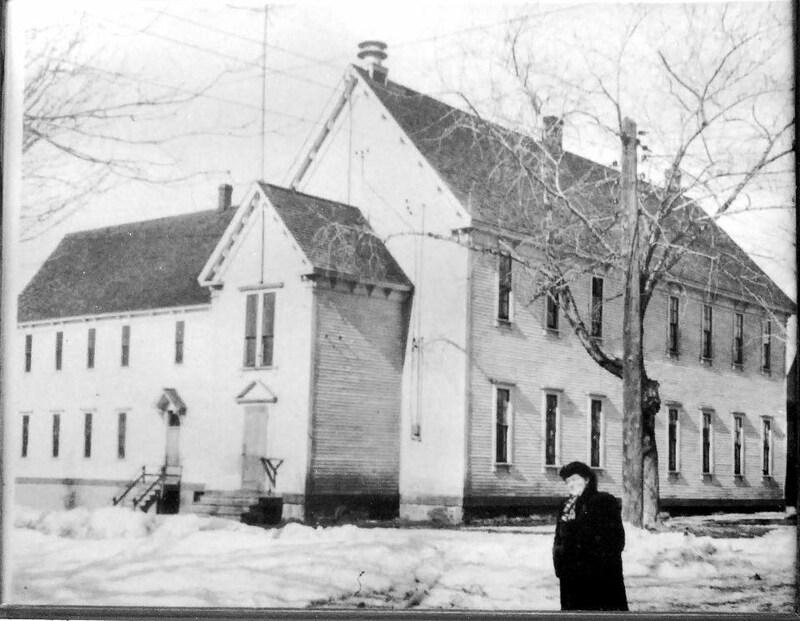 I started school at the White School in Chatham, NB. I wrote about my earliest days there, right here. I was quite far advanced in most things by the time I started school but I think there was one thing I hadn't yet experienced: ink. 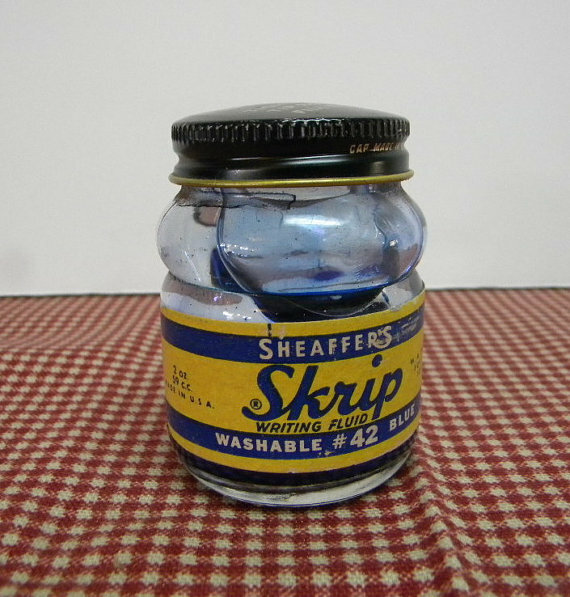 It was grade three where we were first trusted with the writing tools and the bottle of ink. To this day, I remember the feel of that bottle in my hand and I remember the smell of the ink. This was it. In the tip, fill bottle. 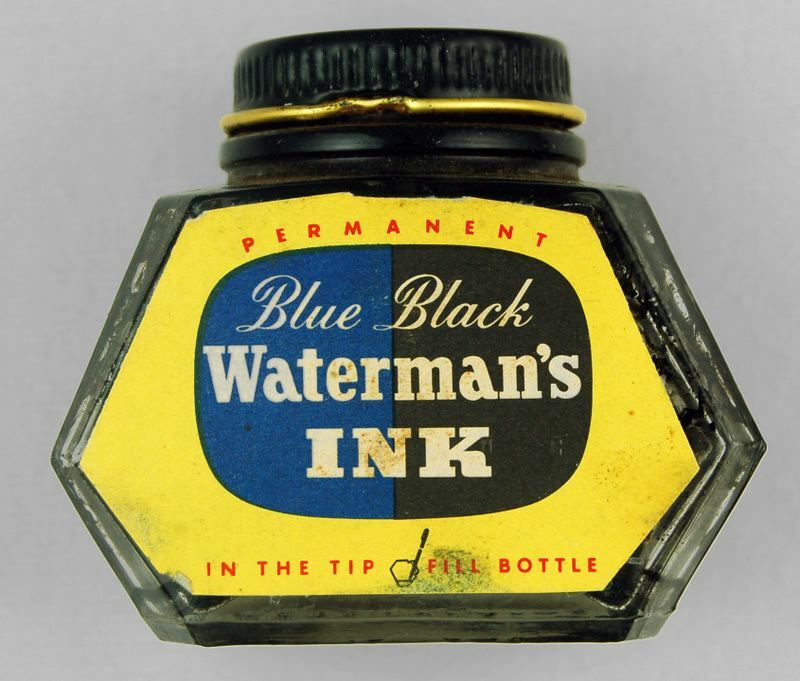 Waterman's blue black. We were not allowed to veer off that blue-black track. 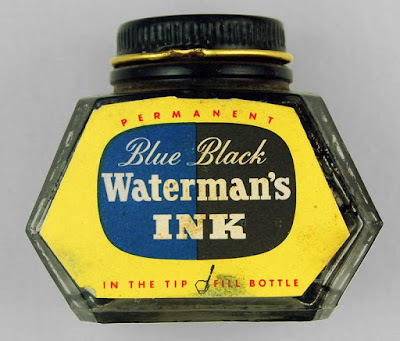 The pure blue ink was so pretty; the black was authoritative and important. (Don't even mention the gorgeous green or the purple. Those were still many years in our future.) The blue-black — an awful non-colour — was it for us. In retrospect, I suppose it had something to do with a standardized look across the classroom although why that should matter, I have no idea. We used what were called straight pens with nibs. We got them — along with our bottle of ink — from The Gazette Stationery and Printing which is where we got all our school supplies. The nibs were often scratchy, depending on their quality, and often, the point had divided so when you tried to write, you'd get a double image. It looked quite artistic but it was not appreciated by the teacher. It was when we began to use ink that we became aware of the problems faced by our left-handed classmates, whose hands often moved behind the inky writing and caused blotting and a blue-black hand. And we did a great variety of lines and loops and OOOOO — all designed, I believe, to loosen the wrist and make for a relaxed writing experience. 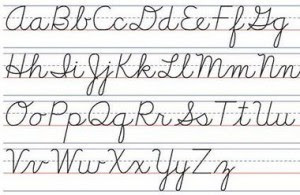 We had writing workbooks that were filled with exercises to be done and it was a regular part of our daily routine. Learning to write — well, it's one of the traditional big three, isn't it? Reading, writing, 'rithmatic. I started to think about this after I read a discussion that took place on the page of one of my Facebook friends. My friend is young and she had never learned cursive writing in school. She wonders why everyone who's older thinks it's so important and should be brought back. My son never learned cursive either — when he has to sign something, it's mostly a printed signature. I honestly don't know if it's important or not. Most people don't write letters or thank you notes or cheques or poetry or a daily diary. All of those tasks are taken care of on the computer or the phone. Is writing a bit like using two tin cans and a string to communicate instead of sending a text? Even I don't use handwriting that much any more — the grocery list, maybe. A personal note on a sympathy card. It's too bad. I have pretty handwriting although I didn't always. Back in the days of the straight pens and nibs, my writing was execrable. I think it was grade five when I realized that all my friends had lovely writing and I decided I could do that too. I worked hard and trained myself and I succeeded in making my writing very presentable — which it is to this day. I was at the Grammar School by grade five and we had graduated to fountain pens and we still weren't allowed to use green or purple ink but blue became permissible. Remember this, with the built-in well? 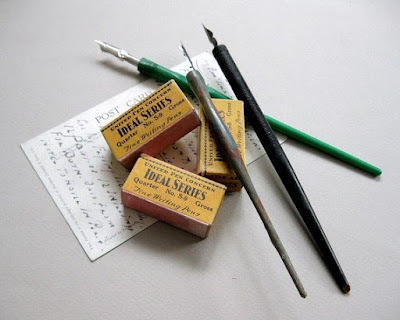 Fountain pens became much more than a writing tool: they were a status symbol. They became the go-to gift for retirement, for any scholastic achievement, for milestone birthdays, for Christmas. They came out of pocket or purse to sign important contracts or to pen love letters. So lovely. Of course, they were also quite capable of leaking all over the inside of your purse or pocket and regularly, just as you were hitting your stride in writing something important, your pen would run out of ink. We continued to use them though even after that new-fangled invention, the ball-point pen, made its appearance. Many of the experts said the ball-point would never amount to anything so if we were wise, we'd hang on to the fountain pen. What can I say? Do you still have your fountain pen? I use writing everyday, in my journal, in pads I carry around to record notes to myself for later use, at my desk as a supplement to typing, in a MS when revising... Anyone wants to be a writer, they'd better learn to scribble!